I have just survived a crazy show jumping and cross country mixed day at Tatts, but am happy to say it has been a very good one. Minty finished the job off nicely in the CCIYH1* to win with a superb clear show jumping. I have been very impressed with him here in all phases he has really been developing and I feel he deserved to be a convincing winner. Cross country was 7.46 which is the furthest he had gone, he really coped well and he finished comfortably inside the time. It was great that he then came out today feeling so well, squealing in the warm up, and all good signs for the future. I was very excited with how Raffles felt on the cross country yesterday, particularly being the greener of my 1* horses. He went brilliantly and covered the ground easily, and for him the course asked plenty of questions, none of which worried him. It was sad today that he had two fences down to drop out of the top ten, he was very unlucky to knock two parts of the treble which was the last fence, until then he had jumped a foot perfect round, but the treble was spooky and straight into the marquees catching many of the less experienced horses out. He would never have jumped in an arena like it and I am not at all concerned by this little mistake. Jack jumped a superb clear today in the 1* section to hold onto his overnight second place. Yesterday he skipped around the cross country very within himself which was great, and today he came out feeling fresh. Show jumping caused a bit of trouble, but not for him, he had a little spook going down the treble but jumped a foot perfect round. Jodie O'Keefe stayed at the top of the leader board with a really good clear, giving a very popular win for the home crowd. For Ramdam today it was about cross country and he went as well as I could have hoped, finishing inside the time and moving up to second place (sadly Harry Meade had an unlucky stop at the last water). The 2* cross country course was as usual very decent requiring accuracy and bravery, and I was really happy with how he rose to the challenge. This was by far the biggest track he has ever jumped, he only did his first Intermediate in April. To be in such a good position in this strong 2* field is pretty impressive whatever might happen tomorrow. The cross country course was quite a decent length at 9.15 so it was also very satisfying to feel how well he coped with that. He looks on good form tonight and I hope he is feeling well up for the show jumping tomorrow. 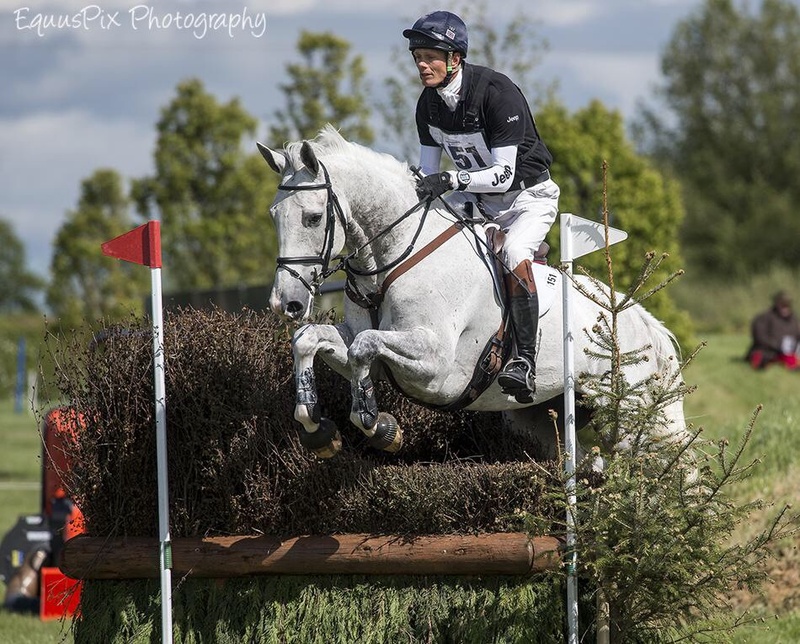 This was Luxury's first CCI3* so it was a big day for him and I am happy to say he was very impressive. The 3* cross country was big and demanding, and caused plenty of trouble, making his performance even more satisfying. I took him all the direct routes and just finished 2 seconds over the time incurring 0.8 time faults, which although it did drop him a place it did not detract from how well he went. This was by far the biggest challenge of his career so it was very exciting that he gave me such a good ride with not one anxious moment. The rain has now set in but the arenas are well drained so the ground should hold up well tomorrow, hopefully.